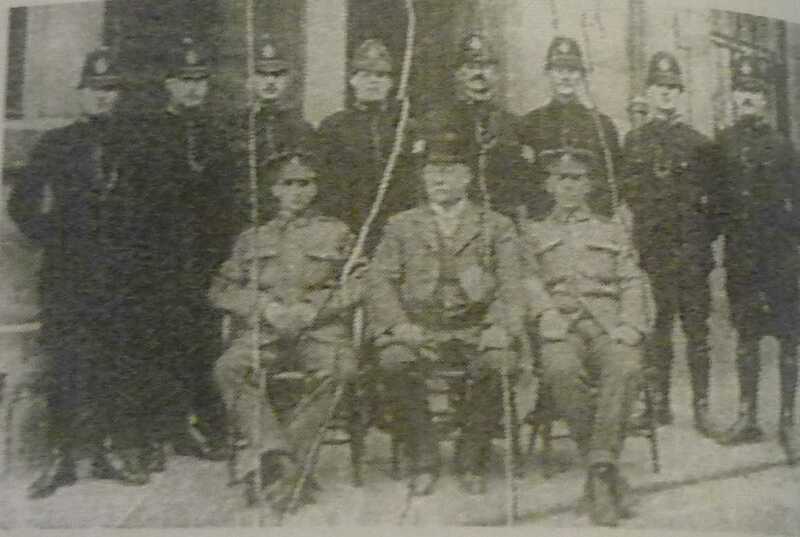 PC Marriott of Fairfield (photograph from Buxton Advertiser). 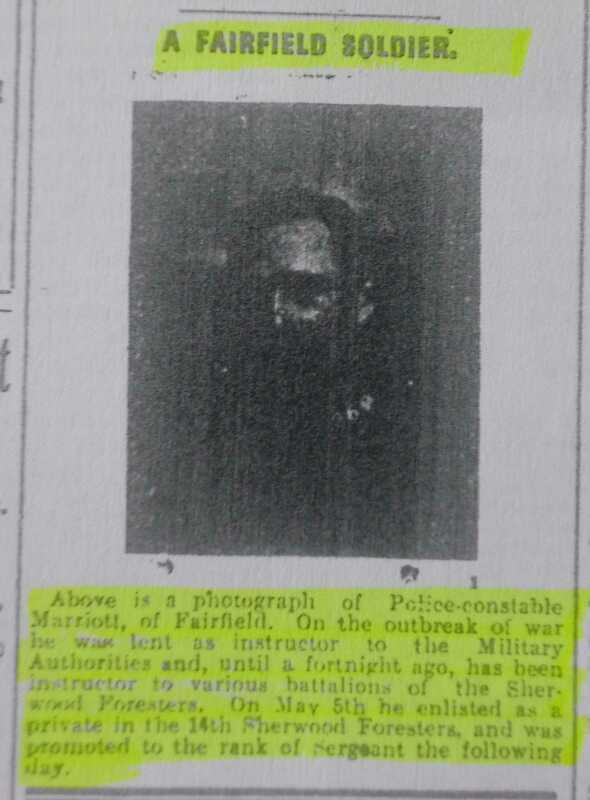 On the outbreak of war he was lent as instructor to the Military Authorities and until a fortnight ago, has been instructor to various battalions of the Sherwood Foresters. On May 5th he enlisted as a private in the 14th Sherwood Foresters, and was promoted to the rank of sergeant the following day.